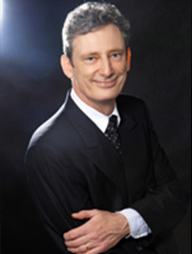 Joseph O’Connor is an internationally recognised author, trainer, executive coach and consultant. He has given trainings in thirty countries. He is the author of eighteen books and three audiotapes on Coaching, Neuro-Linguistic Programming, training, sales, communication skills, management and systemic thinking. His books have been translated into twenty nine languages and have sold half a million copies worldwide. He is co-author with Andrea Lages of two books on coaching, Coaching with NLP (Thorsons 2004 – translated into nine languages) and How Coaching Works (AC Black 2007), nominated for ‘Financial Times Best Business Book of the Year 2007′. More recently, they wrote Coaching the Brain: Practical Applications of Neuroscience to Coaching (Routledge 2019). Visiting professor of Coaching, ISCTE University Business School, Lisbon, Portugal. England, USA, Denmark, Finland, Germany (Keynote speaker at National Conference), Poland, Sweden, Mexico, Hong Kong, Singapore, Czech Republic, Turkey, Tunisia, Austria, New Zealand (Keynote speaker at national NLP conference), Argentina, Chile, Australia (keynote speaker at the international NLP conference) and Brazil. Joseph was the first European Trainer to give NLP seminars in Chile. He was the first NLP trainer to give public NLP seminars in the Czech Republic. He was awarded the medal of the Singapore National Community Leadership institute for his work in training and consultancy in 1996.